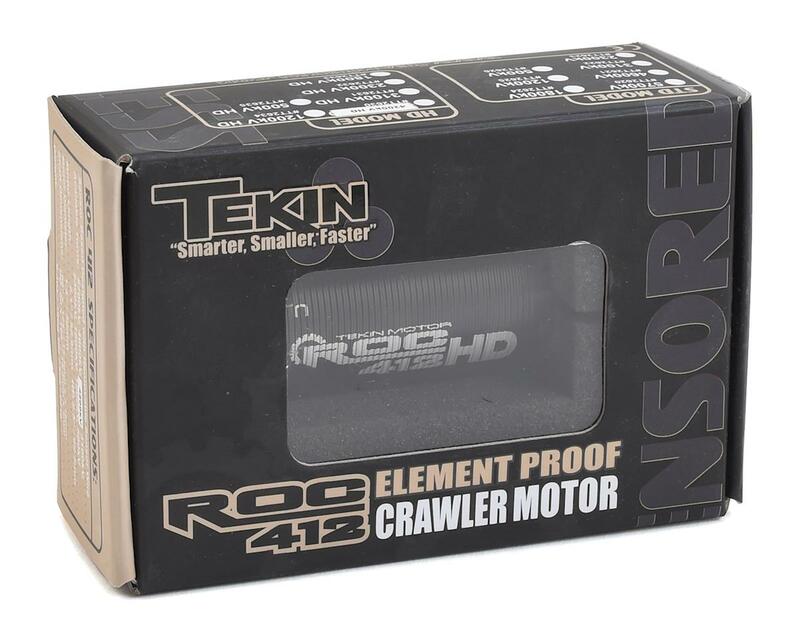 Tekin's Element Proof ROC412 HD offers protection from the elements, giving you the confidence and the power you need to tackle the trails without fear of water, mud or snow! 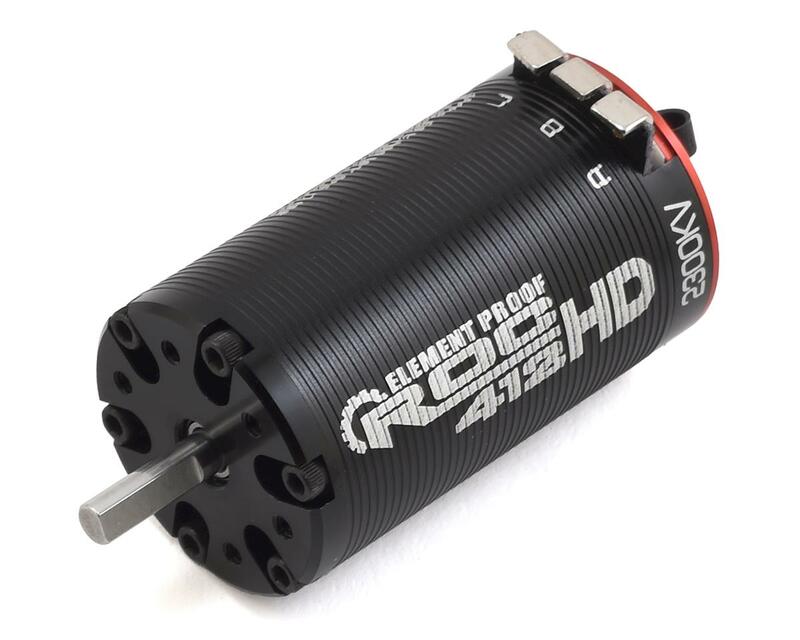 Designed for heavier trail or rock racing rigs, the ROC412 HD delivers more torque and more power on demand, in the same trusted kV ratings so you can maintain desired speed and input voltage, while the longer can delivers more torque than a standard size motor. Using a 4-pole 12-slot motor design based off the award-winning T8 Series motors, the ROC412 HD harnesses the benefits of brushless efficiency and extreme amounts of torque to stay out on the trail longer with more power on tap. And when you combine the ROC412 HD with an RX4 Speed Control, you have one of the smoothest and most capable brushless crawling systems on the market. 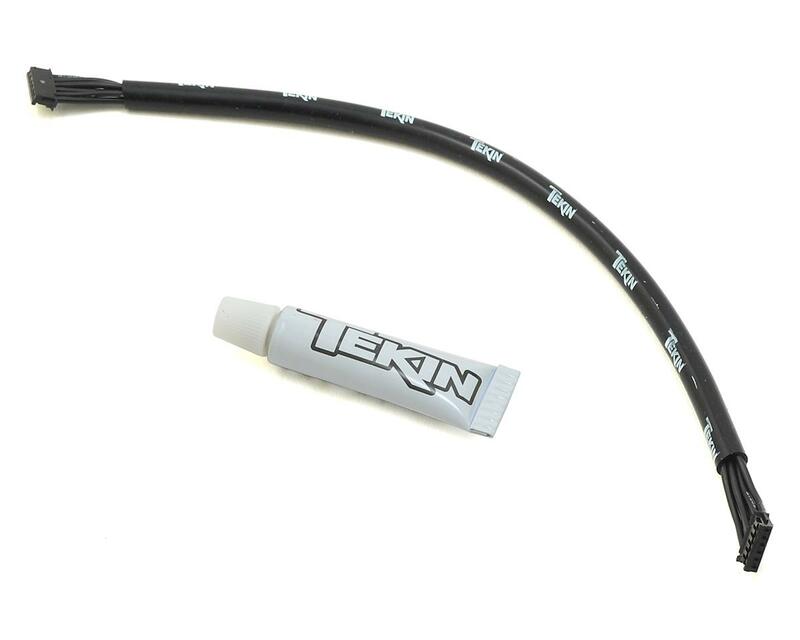 Element Proof ESCs and Motors are specially designed to withstand water splashes and are not meant to be submerged. 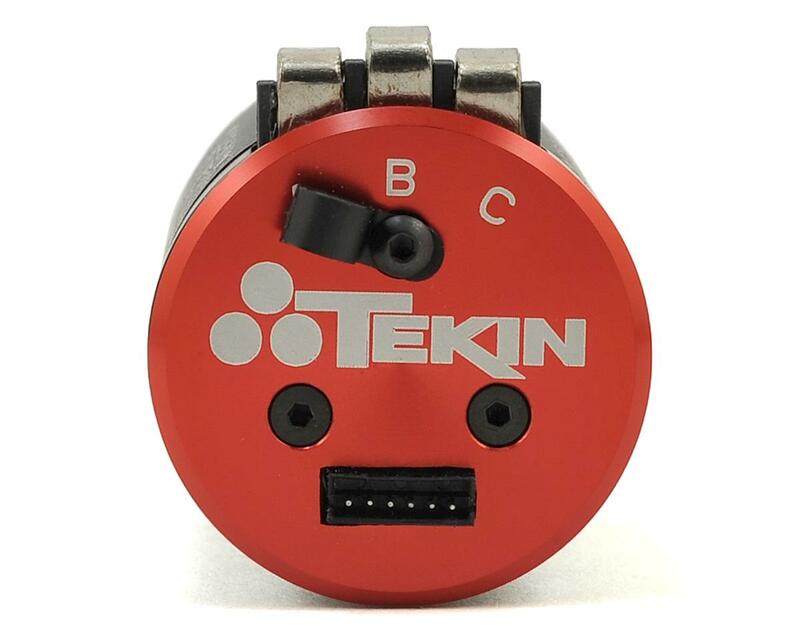 Included dielectric grease must be used on the sensor and fan port connections to protect them from shorting. The ROC412 HD is not intended for operation while submerged in liquid. Shaft Dimensions: 5mm x 15.3mm / .196" x .60"
Motor Diameter: 36mm / 1.41"